Once something is going to be a movement involving a large number of people, it's probably a wise notion to involve a set of guidelines. For instance God had to give the 10 commandments, or else today we would still be eating forbidden apples and trusting snakes in order to make decisions. It is important that as a SUP community we all look towards something that we can all agree on, being it such a booming and relatively new industry. 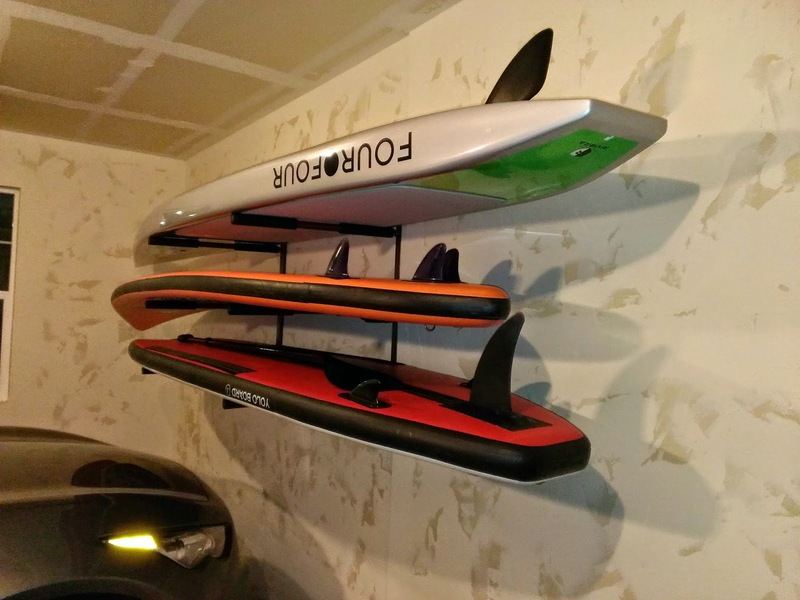 1) Thou shall first rent a board - I am by no means saying you should never buy a board, but this is geared to the person who sees someone doing SUP and thinks it would be a cool thing to try. This is the reason why board shops are in business; rent one and try it out. Once, you have some basics and think this is your cup of tea, take up offers like the $30 demo at DelMarVa Board Sports. They let you try whatever types of boards you think you may like and only then will you actually know what best suits your comfort. 2) Thou shall love thy paddle - Your paddle is going to make all of the difference in the world for your SUP experience. I can’t stand seeing people with $1,200 boards and yet an adjustable aluminum paddle. Try the Edge SUP Paddle or the Kialoa paddle, which is the lightest and best paddle I have used to date. Whichever you get love it like it is your life! 3) Thou shall protect thy board - Like #3, you can’t invest all of this money into a board and then allow it to bake in the sun, rot in the driveway or just lay around. Invest in a SUP rack and grab a SUP bag, essential paddleboard protection and storage items. Would you rather spend $150 now or buy a whole new board in a year? 4) Thou shall paddle correctly - If only I had a dollar for every time I heard a friend tell me a story about meeting someone who paddled backwards, and said it was better that way. Paddle the correct way, reap the benefits. 5) Thou shall understand wind - Don’t be that guy or gal that paddles down-wind for 3 hours and then turns around to come back and can’t make it 5 feet. Down-winders are gnarly, but you have to be able to get back somehow. Have someone pick you up, or food for thought go against the wind first and down-wind the way back. Sounds like common sense, but like they say common sense ain’t too common. 6) Thou shall explore - What I love about SUP is you’re not just stuck into a category like other sports. You can SUP for yoga, race, meditation, weekend warrior, surf...etc. So, never knock something that is SUP related, I was never someone into yoga, thought it was something that was for the ladies, but I was wrong. Once I started doing it in the mornings, I fell in love. Live outside your box. 7) Thou shall strap - Please for the safety of wo/man learn how to tie your boards down. If you don’t have a SUP Taxi, then use the Thule straps and learn the proper way to tie your boards down. Nobody wants to see someone seriously hurt because you can’t tie your boards down. 8) Thou shall replicate - Get your friends, children, and family out on the water. I do tours all the time with people who once they arrive are ghost white in fear and after 10 minutes on the water are so stoked. Get people interested, SUP is booming! 9) Thou shall give back - Any beach I have ever been to, any waterman I have ever been around always is completely open about ways to do things. Never be afraid to ask questions, but also never be afraid to inform people about things. With our industry skyrocketing new people are going to need to know things like how to put a fin in, cut paddles, or what board they should get. Help them, give back to the community that gave you so much. 10) Thou shall make your own rules, too - I'm not the authority and some of the beauty of paddleboarding is figuring things out for yourself. But these are the 10 things that I would love to see some of the newer generation of SUP enthusiasts learn and hopefully pass on. Let me know if you have any that you would like to add in the comment section and get a revised version out!